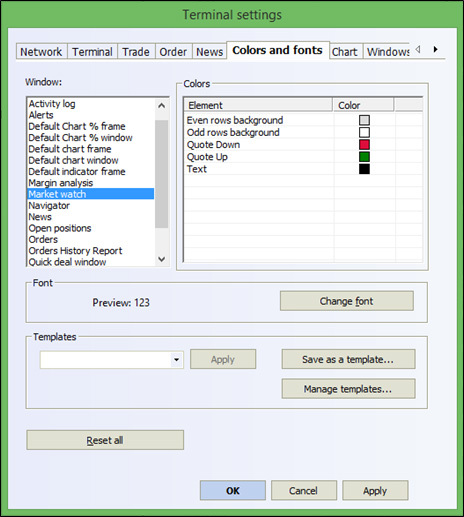 In the opened window "Settings of trading terminal" you may choose the tabs needed to tag the desired options and settings of terminal parameters. Let's tag most important settings. 1. 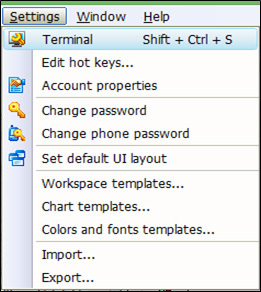 To chose terminal language in "Terminal" tab. 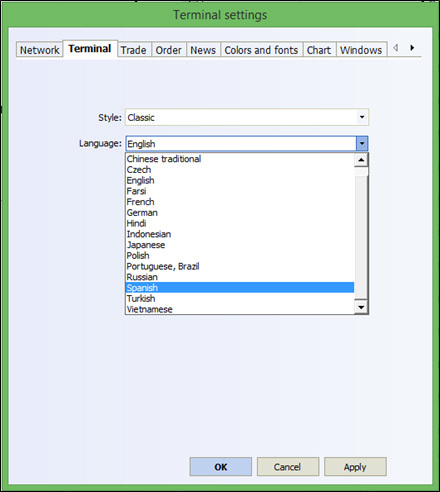 While choosing the terminal language from the suggested list you have to confirm your choice which will restart the terminal. 2. 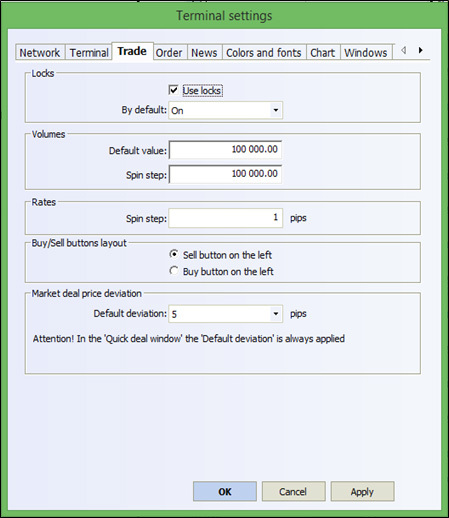 Parameters of trading deals execution in "Trading" - "Lock" tab by default, price tolerance and other options. 3. Colours and fonts in various windows of the terminal. 4. 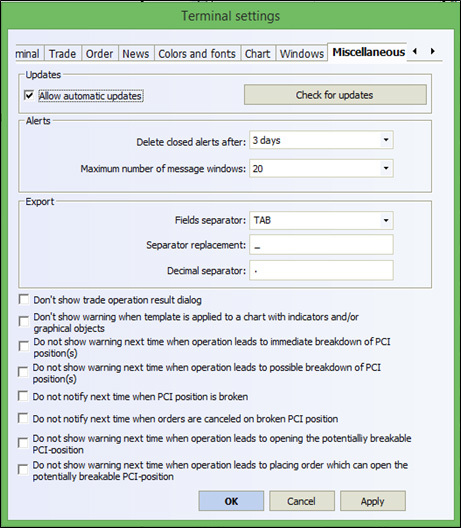 Additional parameters - to display or not to display the text confirmation of deals (including those with PCI), to enable automatic updates of terminal and other.